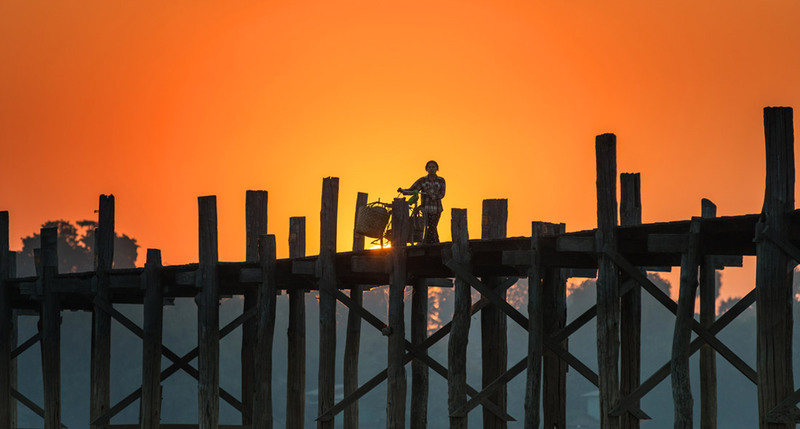 If you've arrived at Mandalay and Sagaing, your journey will not be completed without visiting Mingun which is rich in historical memorials and Buddhist edifies. All products of arts and crafts in Mingun are genuine Myanmar artistic work, making Mingun a well known place since Kongbaung era like Mandalay. 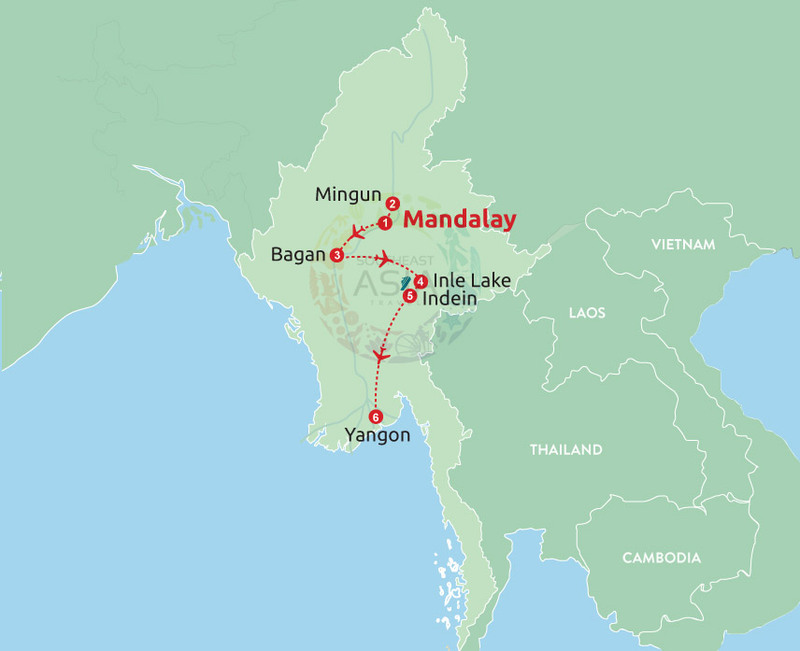 Mingun is located on the western bank of the river Ayeyarwaddy, approximately 7 miles north of Mandalay. You can reach it by ferryboats across the river and takes 1 hour for up-river and 40 minutes for down-river. It is famous for many Buddhist shrines, monasteries, meditation centers and monuments of historical and cultural importance. 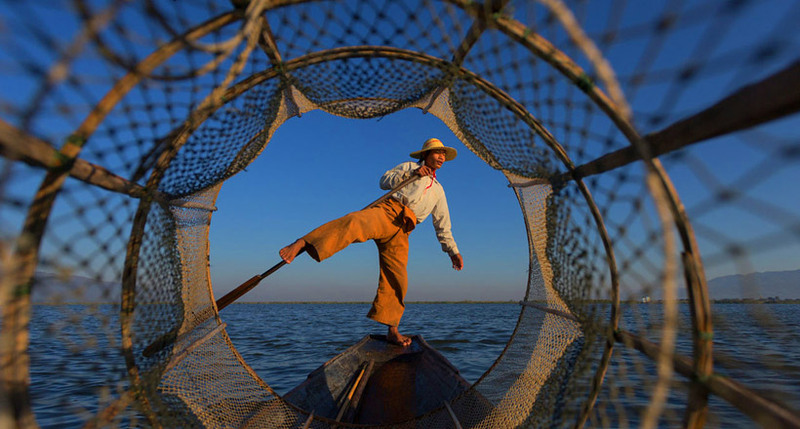 You will have chance to take a pleasant boat trip to Mingun with scene of local life on water. When coming along the interstate to Mingun from Sagaing, you will first arrive at Kandawgyi, one of the prominent big four in Mingun. Kandawgyi was formed while digging earth to make bricks for building Mingun Pahtodawgyi by King Bodaw Badon in 1791. From here, you should visit Mingun Pahtodawgyi. It is one of the famous buildings in the world. The building of Mingun Pahtodawgyi started in 1791 and stopped at 162 feet height. If it had been completed, it would have been the largest monument in the world with a height of 500 feets. Its girth is about 450 square feet. This is Pondawya Pagoda which is prototype of Mingun Pahtodawgyi. You can study Myanmar arts and crafts of Kongbaung period in Mingun Pahtodawgyi. King Bodawpaya built Mingun Pahtodawgyi aiming to worship from Shwebo in the distance where he has ascended the throne. The pagoda was left unfinished. Two enormous prominent statues of lions in Mingun, one of the tourist atttractions is at the east stairway of Pahtodawgyi which faces the Ayeyawaddy river. From here, you can also enjoy natural scenic beauty of Ayeyawady river and green and pleasant Minwun hill. This unfinished structure was badly damaged with cracks by the earthquake of 1838 but it is still the largest brick base in the world. Then you should see Mingun Bell, which is the world's biggest ringing bell. It is said that King Bodawpaya dedicated a big bronze bell near the Mingun Cedi on the west bank of the Ayeyawaddy River, facing Mandalay. The Bell was made of bronze; but it is said that Buddhist devotees inserted gold, silver ornaments and jewellery into the bronze. It measures eleven cubits and four thits (fingers) in diameter at its mouth and weighs 55555 viss. Besides, Hsibyume or Myatheindan Pagoda is also an attraction to tourists. It was built by King Bagyidaw in 1816, three years before he succeeded Bodawpaya as king. The pagoda was constructed in memory of his senior wife the Hsinbyume princess. It is built as a representation of the Sulamani Pagoda which, according to the Buddhist plan of the cosmos, stands at the top of Mount Meru. The seven wavy terraces around the pagoda represent the seven mountain ranges around Mount Meru. This pagoda was badly damaged in 1838 by a quake but King Mindon restored it in 1874. Time to explore the second largest city of the country Mandalay with a memorable time with the dolphin. Chance to join with the local fishermen in a diving to see the dolphin. Discover more about the religion of Burmese by visit to many historical Pagodas. 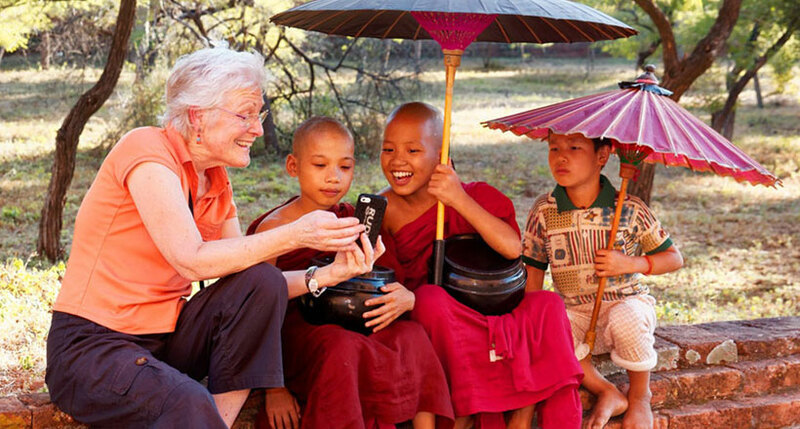 Gain a lot of valuable information of Myanmar culture, traditions and customs in the occasion of visiting to villages, workshops, local markets, etc.